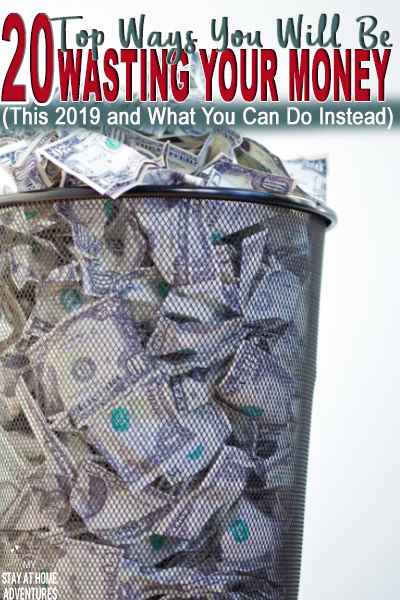 20 Top Ways You Will Be Wasting Your Money in 2019 And Make it Work! Make a habit to stop wasting your money by learning how to prevent it, shall we? 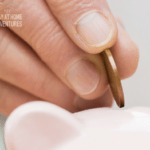 I'm going to show you these 2019 saving ideas that will help you grow your savings this year. As much as I love to think that I have control of my finances, sometimes I need to be reminded of certain things to help me get back on track. 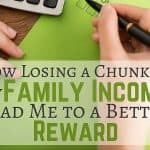 I seem to write about this topic more than how to save money and how to earn money; it seems that we all need to know how wasting your money leads to financial disaster. Yes, wasting your money leads to financial disaster. Until we take responsibilities for our finances, just like we do for other things in life, no matter how much I write about the importance of having control of your finances if you don’t take responsibility and change your mindset you will never achieve financial control. I had to learn the hard way that I was responsible for my personal finances. Due to my broke mindset and living to impress others, I let money control my life. Living the way I was living lead to working long hours, missing out on family events, and becoming a slave to my job. I couldn’t leave my high paying job because I wouldn’t be able to support my family or my lifestyle. I was in debt and overspending my money on things I thought were important. If I could make more money, I would have been able to survive. My friends this was my way of thinking at the time; mind you, I thought and said the same thing as the years passed. Starting from barely making $6 an hour, to making over $50,000 a year; I still had money problems. Even worst, my debt amount was higher than when I started at $6 an hour! I blamed everyone for my financial mess. I acted like I deserved a new car and new clothing because I worked hard. I was so foolish, and I wasted money on things that didn’t bring me any happiness. I was living in my own make-believe world of having money; then it came to a sad ending when reality hit me in the face. I was so naive and ashamed of what I had accomplished and really had nothing to show for. All I had to show for were things I didn’t need and failed to make me happy; I had debt that was starting to get out of control. Does this story sound familiar? Is this the way you are living? The good news is that like me, things can turn around and you can start taking control of your finances and start living the way you want without worrying about your debt. You are going to stop keeping up with the Joneses and start living the life you and your family wanted from the beginning. I’m not writing this just to write it. I am writing this because I've been there, done that. It leads to my financial mess and my unhappiness. Knowing this and accepting change lead me to where I am today. I can say that I am controlling my finances and living life with less money and less stuff. One of the many things that help me keep my finances under control is by not wasting money. I think we are so programmed to spend money on things that if you stop and think, are not important at all. 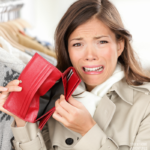 Wasting your money will lead you to financial troubles. When someone mentions or talk about wasting money, we become very defensive about it. Many people will get downright ignorant as I learned when I wrote a post about things people waste their money on during the holiday season. I even got a few nasty emails, and some readers assumed that a frugal Christmas means a bad Christmas for my family and me. The good news is that this post made people talk and the majority of the feedback was overall good. Another reason why I love writing because I want to challenge people and motivate them to take control of their finances. 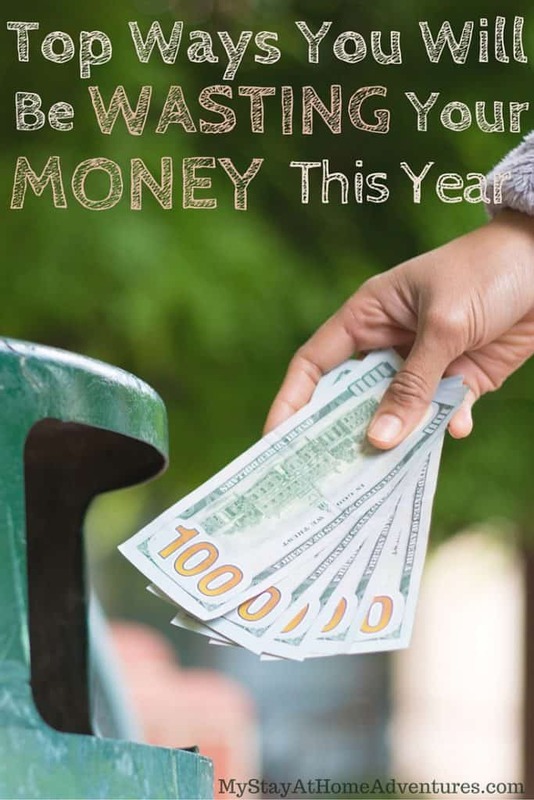 I believe that around this time of the year is when we can start all over and get our resolutions or goals set and planned, writing a post that will help you know where you will be wasting your money was valid and important to do. So what would be your top ways you will be wasting your money this year? Before we begin, let me just remind you that your financial goal is yours alone! Fixing your finances is no easy, but it so worth it. Everyday money-wasting habits are going to be hard to kill in one day, and this doesn’t mean you need to give up. Change is good! Many of us have changed our ways to live better lives. Remember that you can do it! If you are planning a trip to a casino, you are wasting money. The chances that you are going to win big are very slim. Casinos are a business, my friends, and they want your money. Hate to say it, but gambling is gambling, and your chances of winning are not good. You are not lucky; you have no lucky charm that will win you money. And worst of all it can be addicting. Avoid wasting your hard earned money or trying to find an excuse as to why you lost your money on casinos this year and save that money instead. If you are having financial issues, the best thing to do is to put your credit cards away and stop using them. You are not only getting yourself into more debt and financial problems, but you are wasting your money on interests and fees. Credit cards are not your emergency funds and should not be used for in case of emergency. You should have an emergency fund for that reason. Again, put away your credit card if you can’t pay your bill in full every month. I know we want to help, and I know this since my kids are in school and we have numerous fundraisers going on throughout the school year. I am in no way discouraging you from helping, but if you are tight on money, buying cookies that are overpriced to help out might not be the best things. Donate what you can and avoid purchasing thing that you don’t need nor want; only a certain percentage of the sale will actually go to the club or organization. When you donate your money the school is receiving all of your money instead of a small percentage. I am going to be the first one to say that having a big wedding is simply a waste of money; not only for you but your guests as well. Stick to a simple wedding and never go into debt for your event. The average US wedding is $30,000 and more! Also, hosting a big event adds pressure to your family and friends to purchase expensive clothes and gifts. If you are struggling financially and want to take some control of your finances, chances are you need to look at your TV services to know that you are wasting your money paying your monthly bill. Reality is that you are going to spend over $1,000 this year on cable television. If you are struggling to pay your cable bill, this number is pretty high! You can find alternative options that are way more affordable. You will be fine without cable television or satellite TV. Amazon Prime, Hulu, Netflix and even purchasing a Mohu antenna will cost you less than cable. After New Years we make goals to get ourselves into shape and we take advantage of gym membership “deals” and start going almost daily. After 2 or 3 months, we stop attending and forget to cancel our membership and continue to pay for it. Not attending the gym is a waste of money and something that you should consider if you are not fully committed to going to a gym. If you don’t have a handle on your finances, you can end up paying fees; lots of fees. Banking fees, late fees, and other fees. Fees do add up, and the sad part is that late payments can be avoidable if you pay your bills on time or have enough money. This is extremely important and something you need to take control of. Bank fees alone can add up when you don’t have insufficient funds in your account. It's 2019, and honestly, direct deposit and paying bills online are beautiful things. Paying for mailing stamps when there are free alternatives is a waste of money in this time and age. If you are on a tight budget, skip mailing Christmas and birthday cards and use other free alternative options. If this is the year to get your finances under control, spending money on books is a waste of your money because, well, you can get them for free in other ways. Visit your local library or download free e-books online. Have you heard of the internet? It provides you with free music, among other things, and you don’t have to pay for it. Also, radio is still a good source of free music as well. Save your money and use your money for something else. Also, who buys CDs now a day? If you add up the times you purchase bottles of water, it will add up. To cut back on this expense, simply purchase plastic bottles with filters and use it and reuse it. You will save a lot of money drinking water this way. If you are struggling with your finances, paying to have your home remodeled is simply a waste of your money. Save the money, get your finances in order and pay for the remodel more affordably and avoid loans and using credit cards. Purchasinaffordableorite cup of coffee each day is going to cost you a lot of money, and it is a waste of money. Do the math and see how much this is going to cost. If you have a vehicle that is draining your gas budget, you are wasting your money. There are other alternatives, and maybe it is time to change to a car with low gas mileage. That being said, this can also be hard to do for some people. My suggestion is to plan your outings and cut back on going out to avoid wasting money on gas. I have to say that this leads me to so many financial messes in my life. I enjoy going out and eating in my favorite restaurants. I love spending time with family and friends and hanging out. Unfortunately, the cost of eating out can add up and sometimes by a lot of money. 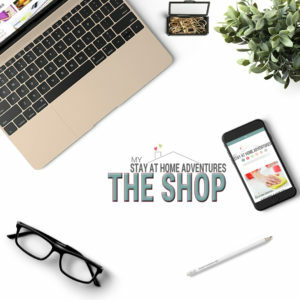 Create home cooked meals and find copycat recipes of your favorite restaurants and make it and invite your family and friends. You can find great copycat recipes online for free. If you have to go out to eat, which happens, check out these restaurant apps to help you save money the next time you go out. I love fresh flowers and plants but having a strict budget prevented me from purchasing them all the time. Some of us enjoy a cold beer here and there and a glass of wine to cope with snow days! Ha! Just like buying coffee and bottled waters, these extra expenses can add up even more. During Valentine's day, Easter, Christmas, Birthday, the list goes on; we purchase cards to let someone know we care. Sadly the cost of purchasing these cards can add up and honestly, a simple handwritten note means so much more than a company printed card and a signature. 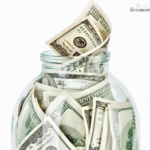 Save your money and do something that says more to the receiver and it cost less. Home services like lawn care and snow removal, among other things, can add up. While you are getting your finances in order, do these task yourself. Hey, the road to financial journey is not easy and requires you to work even harder! Your home can be wasting your money by not being properly insulated. Making sure that your home is ready will bring your electric bill down. Start saving money on your electric bill by following these helpful tips. These 20 ways you are wasting your money are flexible solutions you can start doing right now. We know the list is long, but think about how much money you are going to save this year by implementing this list. If you are serious about making 2019 the best financial year, then start working on these tips, and I will guarantee you that you will NOT be wasting money and start saving. Your turn: When it comes to wasting your money what other tips or ideas do you have? Share it with us. 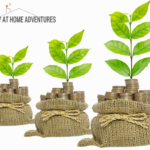 9 Best Ways to Grow Your Savings Today! 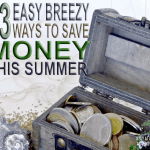 How to Live Frugally and Save Money Now!